If you're looking for that special picture of your family or kids but just don't want to pay the earth, we may be able to help you. 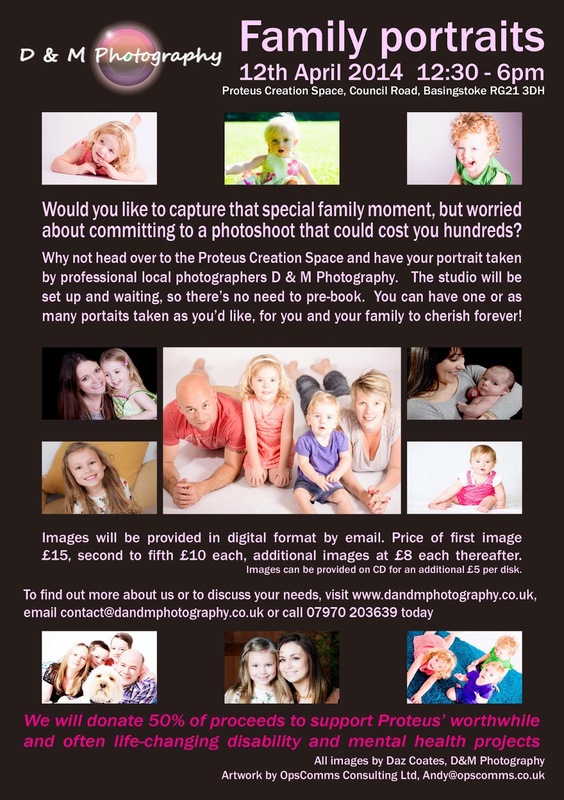 We are holding an afternoon drop in portrait session on the 12th April 2014 at Proteus Creation Space in Fairfeilds, Basingstoke. The event will be held from 1230 till 1800. You don't have to book just turn up and get as many pictures as you want taken and we will edit them for you to choose which ones you want to purchase. We don't believe in pressure sales or hiding your costs. See below for pricing and if you have any questions then please just give us a call. Looking forward to seeing you and happy snapping. This week we have been focusing on Mothers Day and pictures of Mums with their beautiful children. We took some time to capture those special moments between Mum and their little ones. Of course there were a few tears and tantrums but after a coffee I was much better and settled down. We do love working with young children and their parents as there is always so many challenges and no 2 shoots are the same. These little guys have such distinct personalities and we hope they come through on the pictures. These shots were taken in the studio but the same effect can be done at your home just as easily and it takes little space. Next month we are doing a special event in Basingstoke at Proteus Creation Space for one of pictures, so if you don't want to spend the college fund you can come down and have 1 or as many pictures as you like. See the link below for details. We had a very busy weekend with a local shoot at a housing development opening on Friday morning. We then whisked ourselves down to Sunny Bournemouth. Yes I was as shocked as you, but we had a really nice warm few days in the lovely town. We were asked to do some club photography for the opening weekend of Plush Bournemouth. Friday night was a VIP night and Kiss's very own DJ Neev was up on the decks playing so awesome old school hits. She followed some great current sets from the clubs house DJ Jake White. 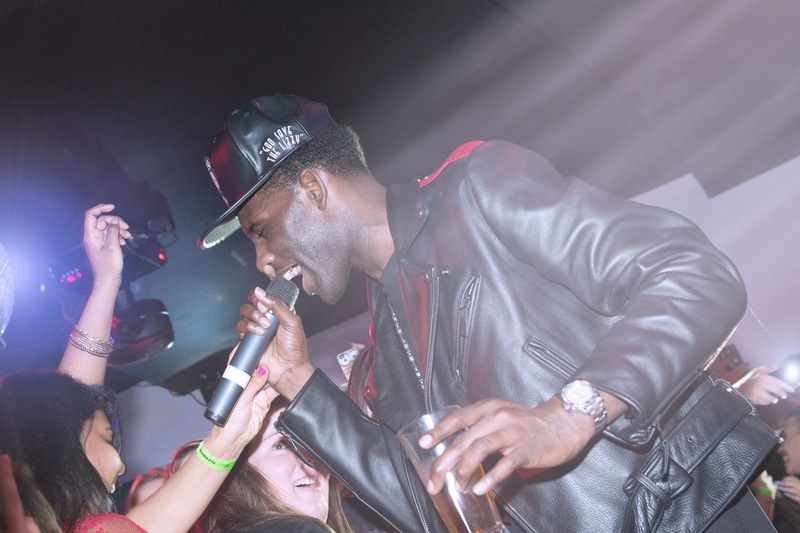 Saturday Night was the turn of DJ Leroy Wilson and after midnight the live performance of Wretch 32, who was fantastic. He had the crowd singing his hits and hung around for a meet and great with them after. So we were called upon to take pictures of meet and great and you can see more of them on Plush's facebook page. We are looking forward to the next event and wish them well, though I really don't think they need luck. Head on down to Plush for a awesome night, we may see you there.